In a previous post, I told you about restaurant expo, the one responsible for keeping your full-service restaurant running smoothly at all times. Now I want to tell you about my experience with an incredible restaurant expo and what will make someone an incredible expo in your restaurant. A restaurant expo can make or break a shift. I was a pretty good expo in my day, but there was no one better than Monty Lee! I knew that if we were expecting a crazy night, I needed to have him controlling the kitchen pass. He was that important to our success. What was it about Monty? What did he have that others didn’t? The answer: Monty had a true understanding of the job, how to do it and how well it should be done. And on top of that… he had the personality to pull it off. 1) The expo is the ONLY person who communicates with the wheel or lead line cook. The No. 1 thing an expo must be is in charge. Both sides of the line must understand that. If not, your night will spiral out of control. 2) The expo needs to know fire times and line processes, or who does what and how long it takes. The restaurant expo is like a quarterback. It’s his or her job to make sure everyone knows their assignments. They need to know each position’s responsibilities, their individual speed and what plays to call to move the ball down the field and ultimately score. 3) The expo should follow the pace (courses) of each table and ensure servers are not rushing or lagging tables. 4) The expo needs to be organized and be able to project his or her voice. This is not a position for a wallflower. This is a position for a person with self-confidence who can convey authority. This person must be able to multi-task and work many tickets at one time, which also requires strong organizational skills. 5) The expo must be quick and deliberate and people have to be able to trust him or her. If there is no trust, efficiencies plummet. The quarterback analogy applies here, too. Even though the expo is routinely a FOH person, he or she still needs to show confidence in everything so everyone just waits, listens and takes direction from the expo. When either the FOH or BOH staff doesn’t trust the expo, there is often a lot of yelling in the kitchen, chaos and people doing their own thing. 6) The expo must be able to anticipate orders and notify food runners or servers before the food is ready so hot food is hot, cold food is cold, etc. This is an extension to knowing the timing of the cooking processes and the pace of a meal. The difference is it’s all about selling the ticket and getting the food out to the table, a skill set often found in a FOH person. 7) The expo must refuse items if they are not to specifications. 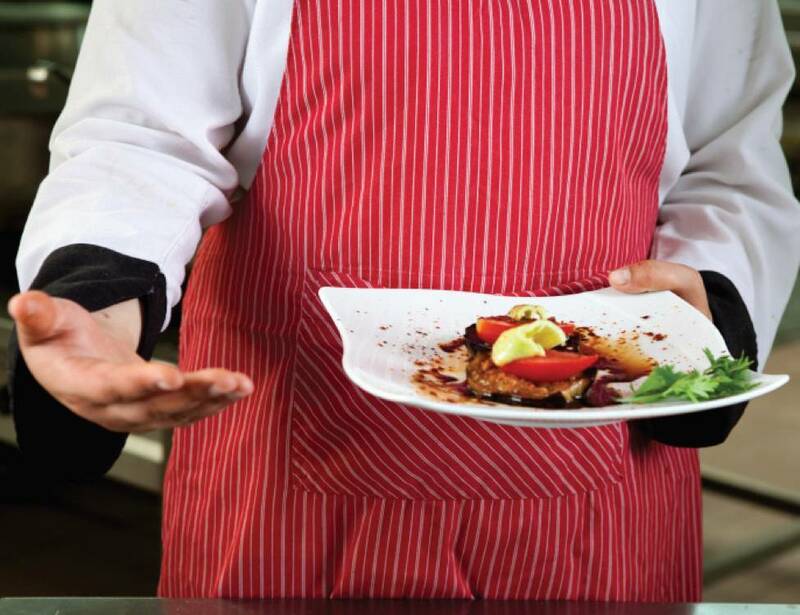 Part of the restaurant expo’s job is to make sure anything that comes out of the kitchen is the BEST your restaurant can produce, even if that means a longer ticket time because something has to be redone. 8) The expo is the eyes and ears for the kitchen and voice for the service staff. The reality is, the busier you are the quieter the kitchen. This is because the FOH staff runs all requests and questions through the expo and the expo then relays it to the wheel. From there, the wheel calls the request out to the specific line position and he or she calls it back. There is no extra chatter, just heads down listening to the play calls. 9) The expo must be clean, organized and calm under pressure. The restaurant expo position is for someone with an almost-obsessive personality. Someone whose work area is spotless, likes things to follow a system, can keep control and never loses their cool. 10) The expo must know all table numbers, person numbers and server sections. The expo needs to know how to do position numbers backward so servers take dishes in the order you call them and then are able to drop them in the correct order on the table. 11) The expo needs to remind servers of their duties. For example the restaurant expo needs to be able to tell a server, “Remember you need a steak knife at position two and soup spoon at position four.” This enhances customer service, rather than having a table watch their server run back and forth getting one missed item at a time. 12) The expo needs to have a proactive personality and be a problem solver. Again, the expo is the quarterback. He or she leads, is cool under pressure and can call an audible on a moment’s notice when the game conditions change. The expo needs to give staff positive feedback and make it fun. The expo basically yells or calls out to people all night and it can wear on peoples’ nerves. 13) The expo needs to push the team to move faster. A great expo knows when the kitchen can put the pedal to the metal and move faster when necessary. Pick the right person and train the skills. 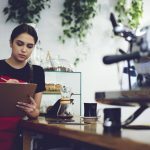 If you want to take your restaurant to the next level and know that every one of your busy shifts will go off without a hitch, you need to identify FOH people who understand steps of service, know the menu inside and out, are neat freaks with strong organizational skills and are calm under pressure and then train them to YOUR standards. Next thing you know, you’ve got yourself a quarterback who makes both the FOH and BOH look good. If you would like to learn more about the importance of well-trained restaurant employees and their positive impact on your restaurant business, read our free special report, Breaking Away from the Insanity: How to easily take control of your restaurant and make more money. Download it here. Be sure to visit our YouTube channel for more helpful restaurant business management video tips.